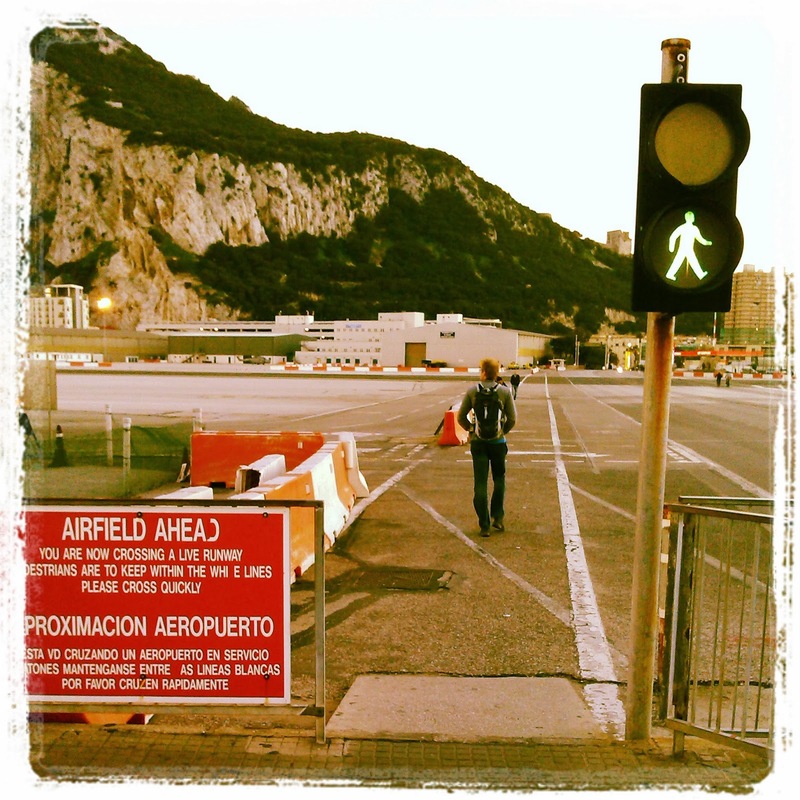 For some reason I always wanted to visit Gibraltar. I’m not sure what the attraction was but in my mind it was like visiting a different country. I was surprised to learn (and embarrassed about my lack of knowledge) that Gibraltar is NOT a country, it’s a British Overseas Territory. Curiously it has been under British rule longer than the US has been America. We made the trip to visit ‘the Rock’ one weekend as it is only a two hour car drive away from Seville at the southern end of the peninsula. 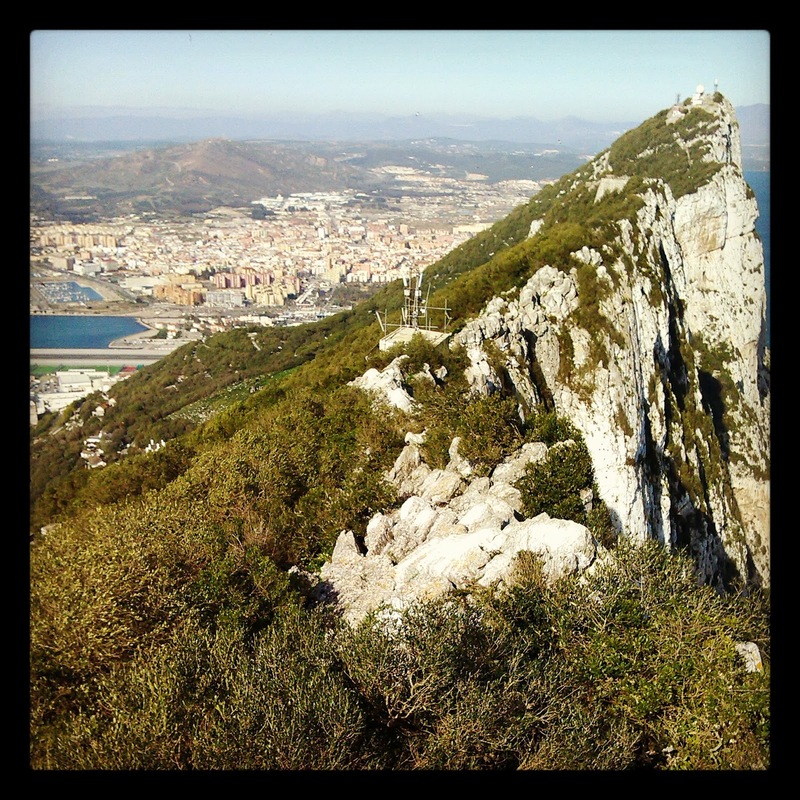 It basically consists of a huge rock, the ‘Rock of Gibraltar’ and the city that lies at its foot. And that’s it! There’s nothing else there! It wasn’t a challenge to see most of it in a day. 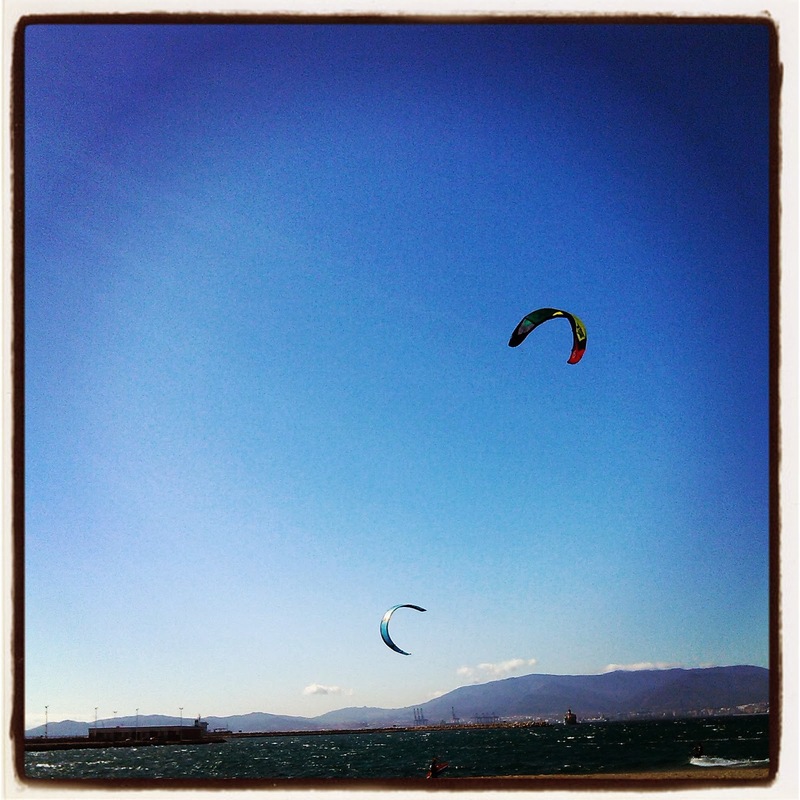 The Bay of Gibraltar is a shallow but very windy place, ideal for kite surfing. They were a colourful sight in the sky. Getting into the country did not pose any challenge, we weren’t even asked for our passports. As soon as we got over the border we jumped on a local bus that took us to the centre. At first however we were stopped by a barrier. We looked out curiously and noticed that that’s the airfield right in front of us! We had to wait patiently while a British Airways plane landed on the tiny little square that they ambitiously call the ‘airport’, then the barrier opened and all the cars and buses, together with the pedestrians, walked over the runway to get to the other side. Very surreal! The ‘surrealness’ continued as we walked down the main street of the town. We had the feeling of suddenly being dropped off in England somewhere. 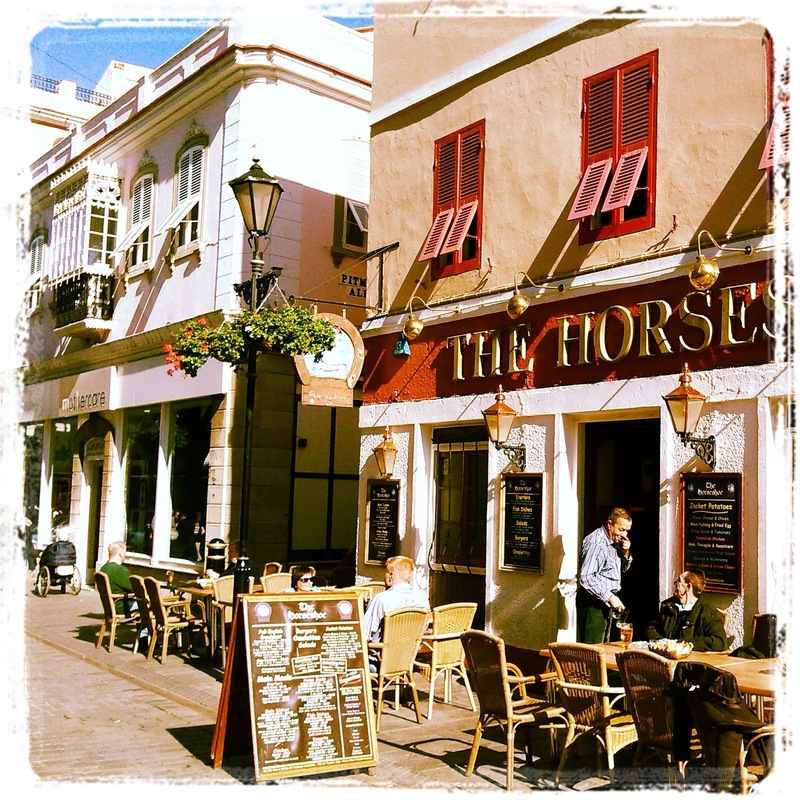 There were very British looking pubs with benches in front of them where people drank British ales, the shops were all British high street chains and even the language spoken around us was predominantly English! It was all very familiar except the fact that the squares were lined with palm trees and there was blazing sunshine. Small but important difference. The cable car took us up to the top of the Rock and showed us an incredible view of the corner of Spain. We ‘only’ took 153 photos of the sight. Then we spent the rest of the afternoon wandering around, trying to avoid the Barbary Macaques and slowly making our way back down to the town. 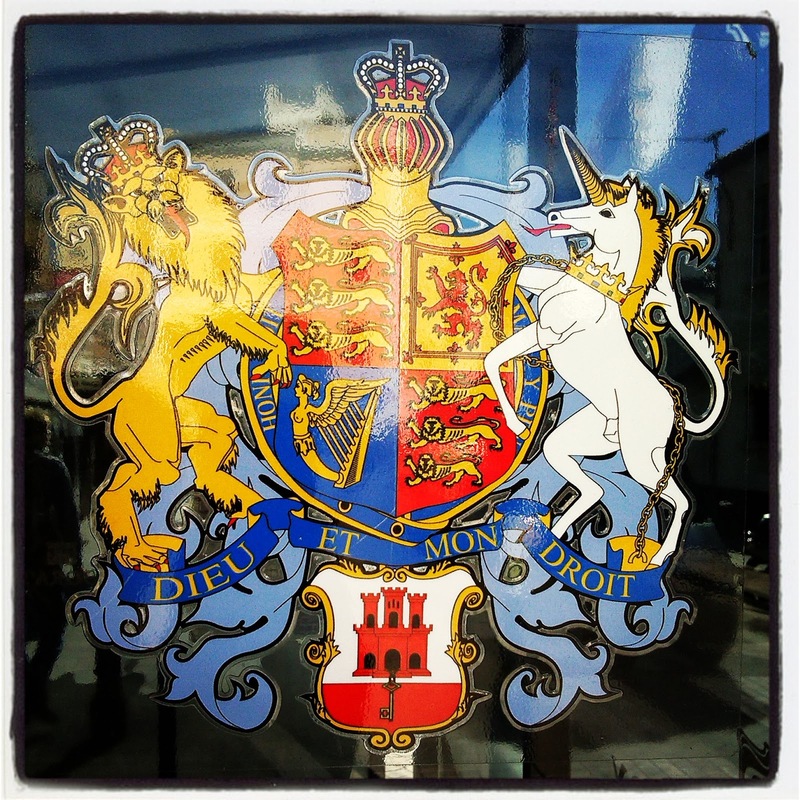 Gibraltar has its own currency, which is also called a pound. 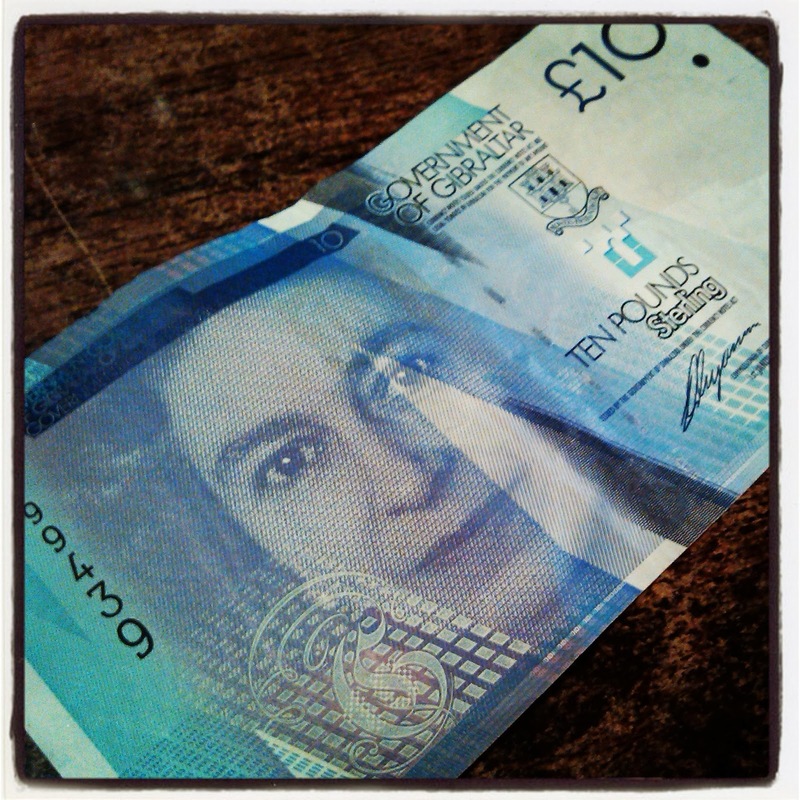 We took some money out just to see it then promptly went to spend it in an overly-British Nelson themed pub. Just for the novelty. I was extremely happy to see that they had Kopperberg on sale! We were eyeing up the menu for a while but in the end we weren’t tempted by the fish and chips with mushy pees. 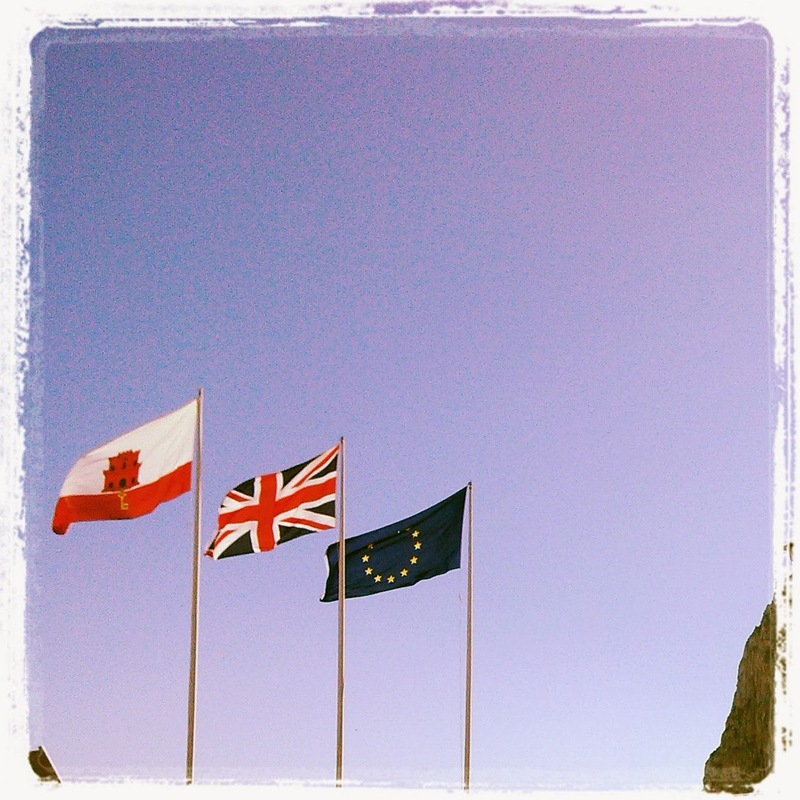 Gibraltar is a very strange place, surreal and familiar at the same time. Take a look if you happen to be in the vicinity.